1. 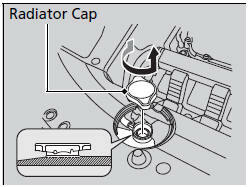 Remove the radiator cap cover. 2. Make sure the engine and radiator are cool.